Dr. Feaster is the Chief Health Information Officer at CHOC Children’s. Burgess LPA, Herdman TH, Berg BW, Feaster WW, Hebsur S: Alarm limit settings for early warning systems to identify at-risk patients. Journal of Advanced Nursing 65(9) 1844-1852, 2009. Khadry B, Feaster W, Macario A, and Ehrenfeld J: Anesthesia Information Management Systems: The Past, Present and Future of Anesthesia Records. 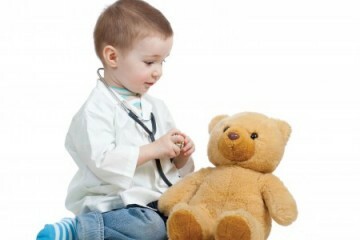 Mount Sinai Journal Medicine 79(1): 154-165, 2012. 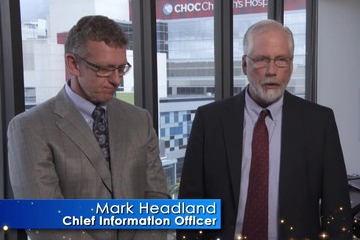 Dr. William Feaster and Mark Headland speak to us about the up-to-date technology in the Holmes Tower at CHOC Children's. 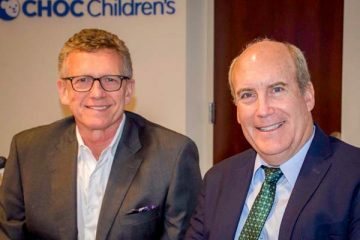 CHOC recently became the first children’s hospital on the West Coast-and only third in the nation- to receive the Enterprise Davies Award from the Healthcare Information and Management Systems Society (HIMSS).